International executive will bring senior management expertise to all private equity projects accepted by Grace Century as well as provide marketing coordination of existing projects in Asia and emerging markets. Grace Century, FZ LLC, specializing in “game-changing” life science and health related private equity projects, recently announced the appointment of Yeow Fook (Eddie) Leong to their Advisory Board as Chief Compliance Officer. 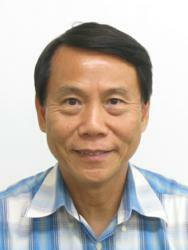 Leong brings decades of leadership, problem solving, and project leadership experience from Exxon Mobile. Leong’s responsibilities with Grace Century will include due-diligence of potential new projects, ongoing oversight of accepted projects, and marketing coordination of existing projects in Asia and emerging markets. Like Grace Century, Leong will also take an equity participation in all projects, furthering his desire to bring all of Grace Century’s projects full-circle. Grace Century, FZ LLC is an international research and private equity consulting company located in Ras Al Khaimah, United Arab Emirates (UAE). Grace Century specializes in conducting due-diligence for its group of international members, as well as assisting firms in the development and execution of “game changing” ideas in the life sciences and healthcare technology industries. Utilizing its vast network, Grace Century assists in capital formation, market penetration, joint ventures, and brand development.